(Natural News) Scientists continue to search for more natural solutions to address water pollution. A group of scientists aimed to find an eco-friendly, economical, and effective biological way of removing phenolic compounds in water polluted by industrial wastes. In their study, which was published in the IOSR Journal of Environmental Science, Toxicology and Food Technology, the researchers extracted peroxidase from natural sources such as radish, broccoli, carrot, soybean, and beetroot, as well as from microorganisms such as Pseudomonas aeruginosa, Staphylococcus aureus, and Bacillus subtilis, using ammonium sulphate fractionation technique. Peroxidases catalyze the oxidation of phenols through hydrogen peroxide, causing the formation of water insoluble polymers that can be set apart by coagulation or sedimentation. The microorganisms were examined to determine their potential for biodegradation of phenol. Their ability to use phenol as a sole carbon source was also tested. Then, they grew the microorganisms on a mineral salt agar medium supplemented with phenol concentration of 200 milligrams per liter (mg/L) at 25 degrees Celsius for three days or 72 hours to determine their potential biodegradation of phenol. Results showed that there was no growth on the mineral salt agar medium and the microorganisms could not utilize phenol as a sole carbon source. The researchers also discovered that among all the peroxidase enzymes, white radish peroxidase was the most effective peroxidase enzyme; it exhibited maximum enzyme activity and displayed more than 90 percent phenol removal potential. 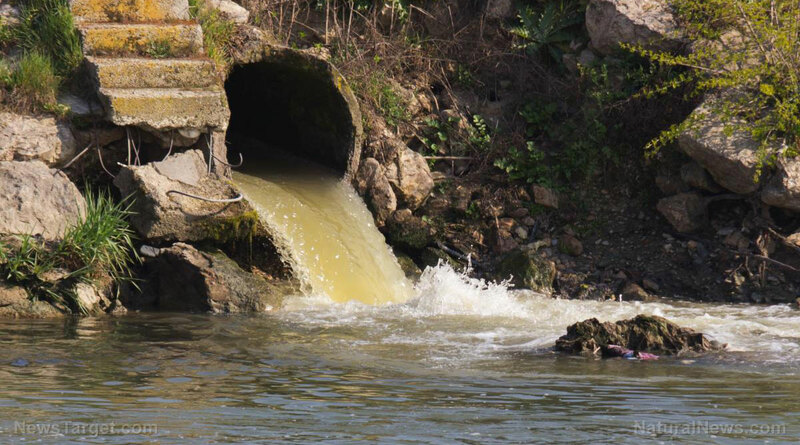 Water pollution occurs when harmful substances contaminate water bodies, such as lakes, rivers, and oceans. These toxic substances get dissolved in the water bodies, are suspended in the water, or deposited on the bed. These can also reach the water supply and groundwater systems, which may get into the households as contaminated water used in drinking and other daily activities. Lack of effective policies and poor enforcement to control pollution – These enable many industrial facilities to evade laws leading to mass scale pollution that affect the lives of many people. Unplanned industrial development – Unexpected industrial growth occurred in places wherein companies violated rules and cause both air and water pollution. Reliance on old technologies – A lot of industrial companies still rely on old technologies in order to avoid high cost and expenses and to make high-end products. However, these result to the generation of large amount of waste. Existence of many small scale industries and factories – These industries and factories do not have sufficient funds to run their businesses and frequently violate environmental regulations and produce great amounts of toxic gases in the atmosphere. Ineffective disposal of waste – Many industries dispose their wastes in bodies of water or soil. Extraction of natural resources – The extraction of minerals from beneath the earth can be spilled or leaked which results to pollution. Learn more about pollution mitigation methods at Pollution.news.